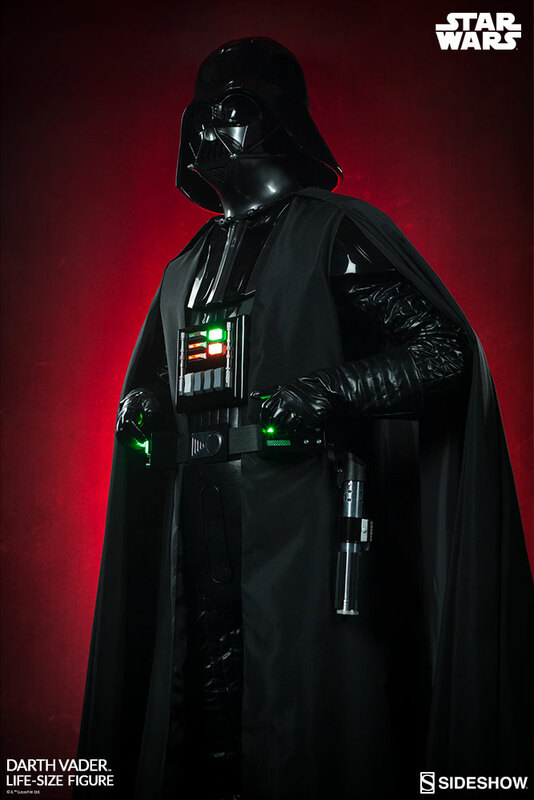 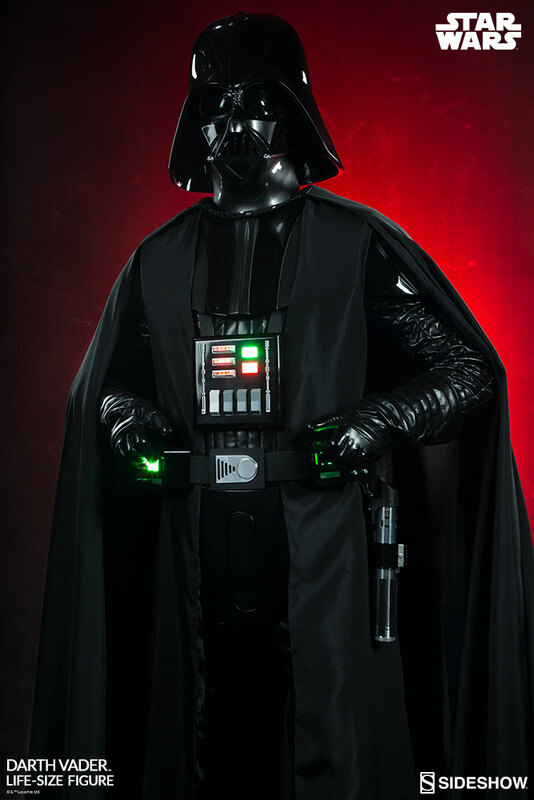 Standing over 7 feet tall this large Darth Vader figure, and movie accurate statue, makes for an imposing and utterly jaw-dropping museum-quality showpiece that is sure to be the pride and joy of any Star Wars fan! 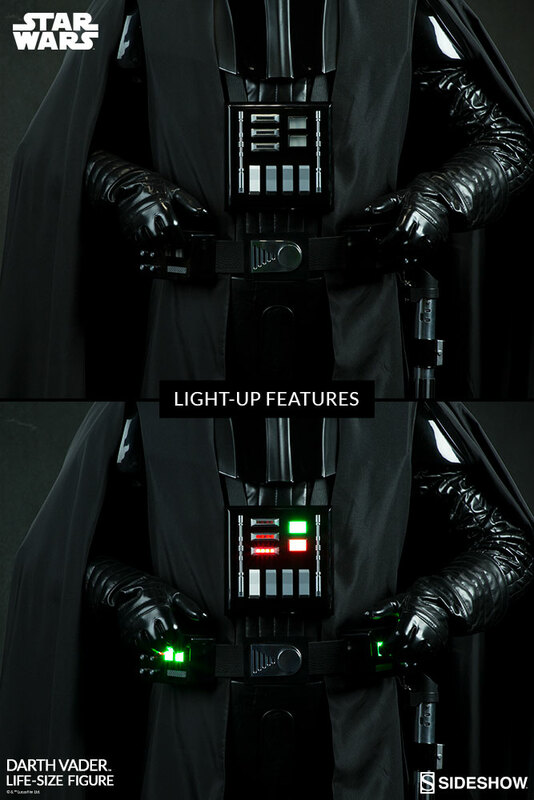 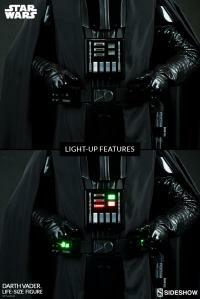 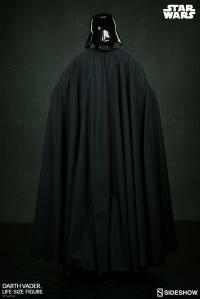 The Dark Lord of the Sith has been faithfully reproduced down to every minuscule detail. 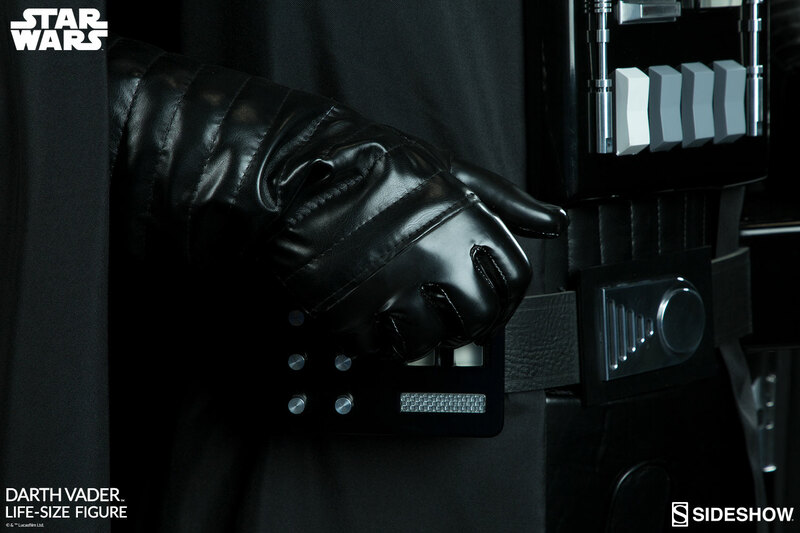 From his expertly tailored costume and cape to his movie-accurate armor and light-up chest plate, no expense has been spared to bring you the finest high-end display piece in the galaxy! 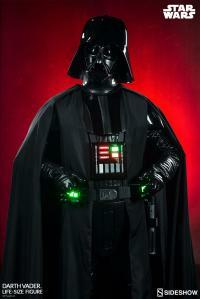 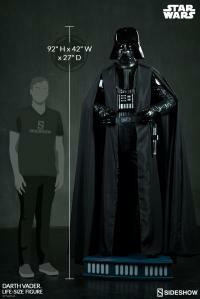 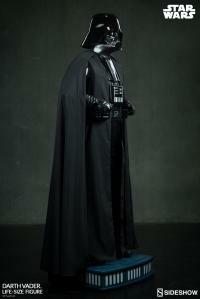 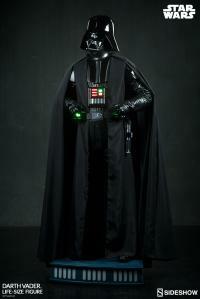 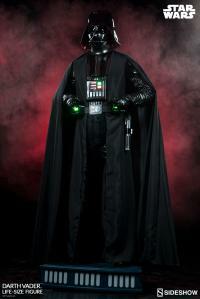 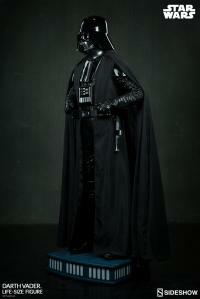 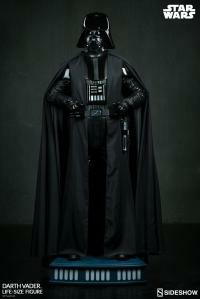 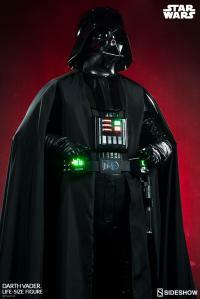 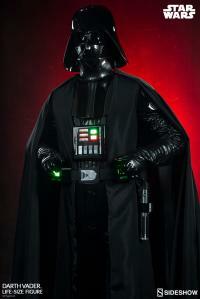 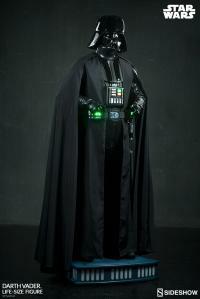 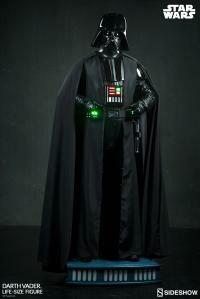 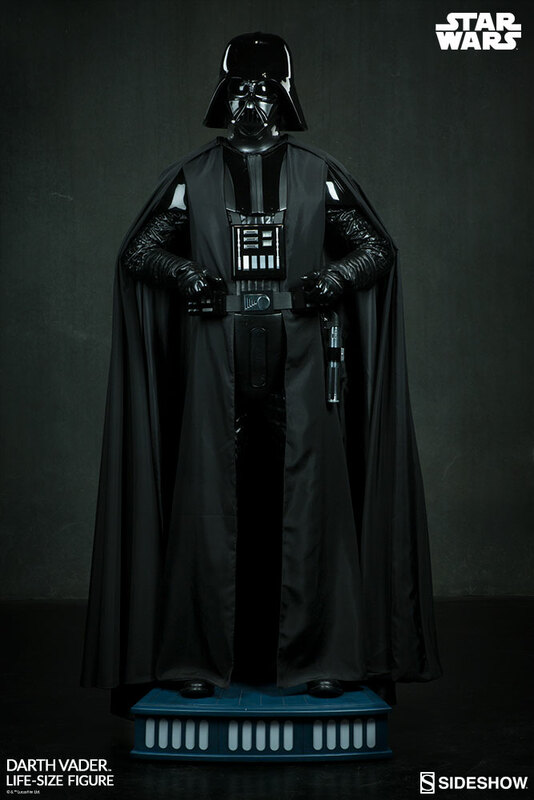 Instantly recognizable and utterly iconic, Darth Vader is quite simply one of the greatest villains in movie history. 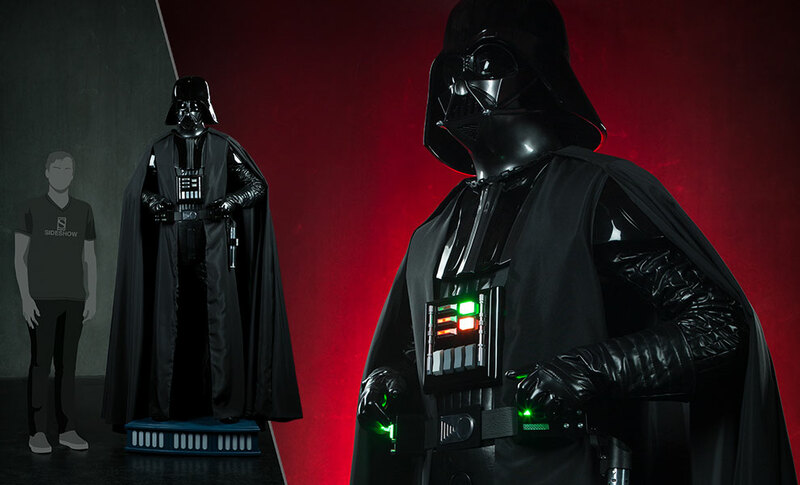 As lifelong Star Wars fans and collectors, it was not only an honor for us to create a life-sized version of our favorite characters, but also a challenge to create a piece that is worthy of Vader’s legacy. 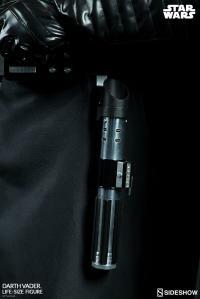 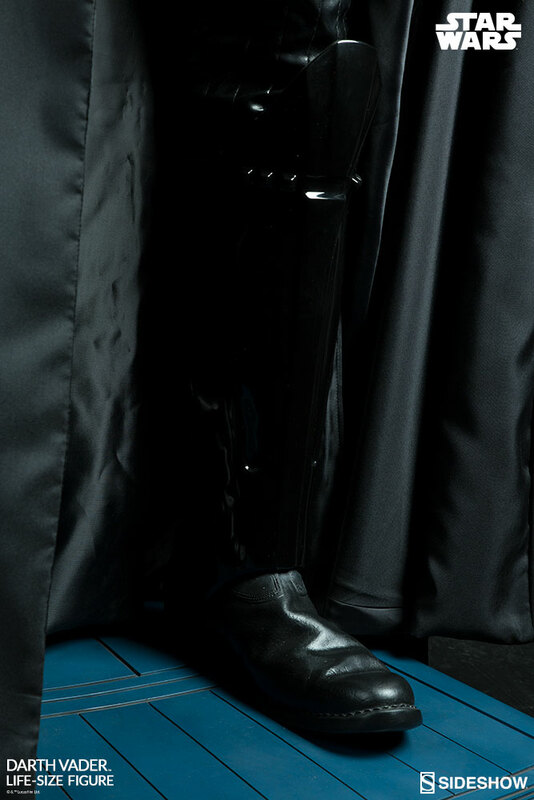 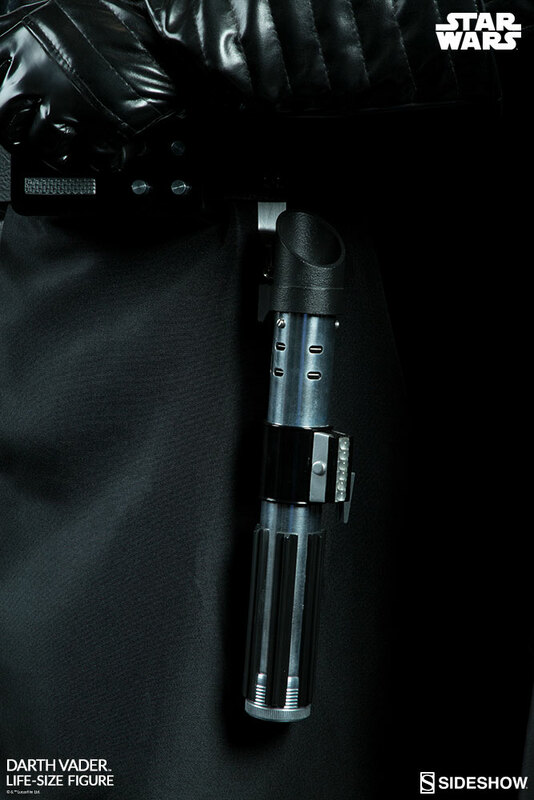 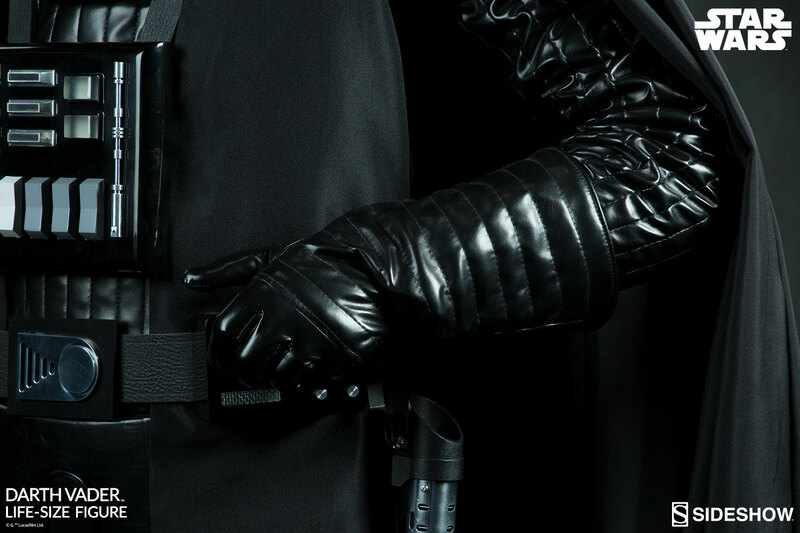 Hands resting on his belt, lightsaber hung casually (and within reach) at his side; Lord Vader exudes all the deadly confidence and quiet menace befitting a Sith Lord at the height of his powers! 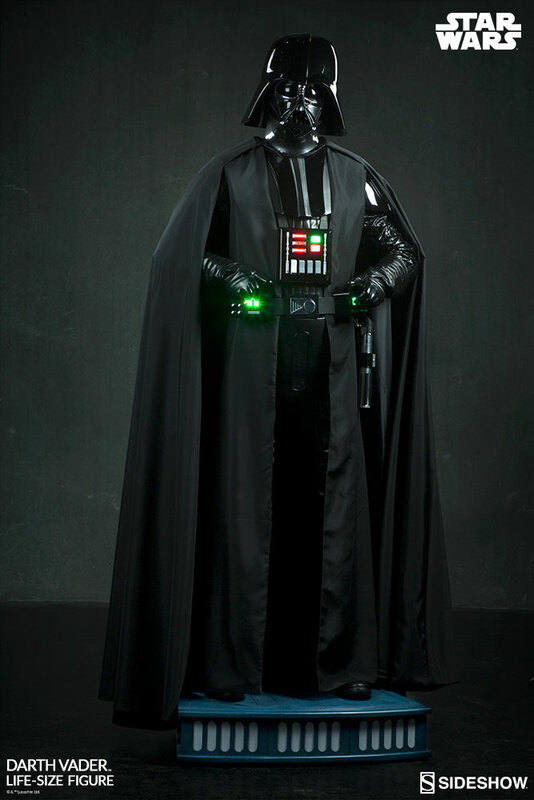 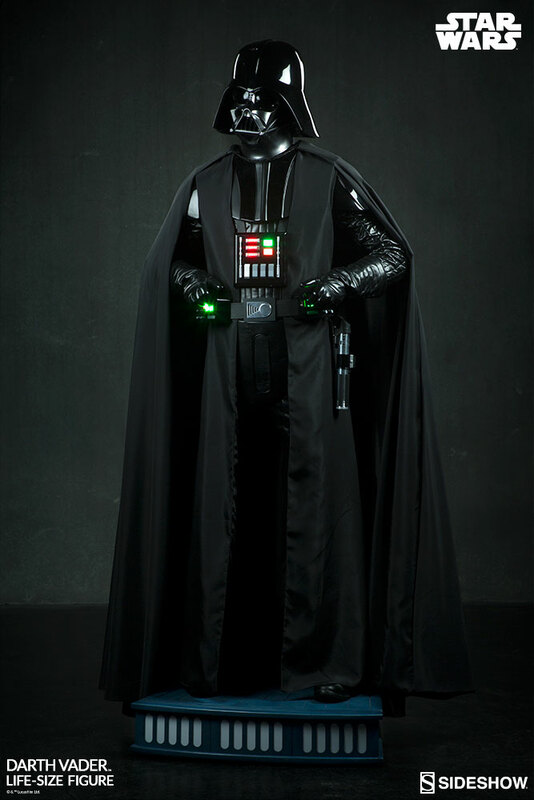 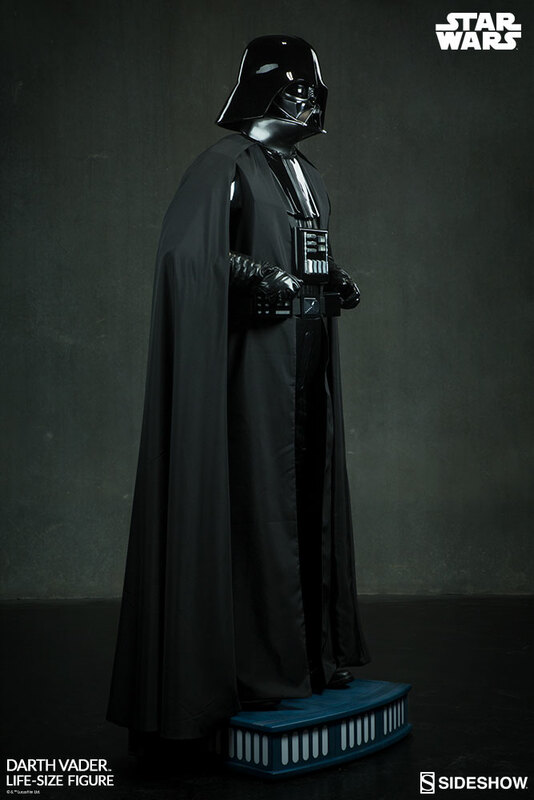 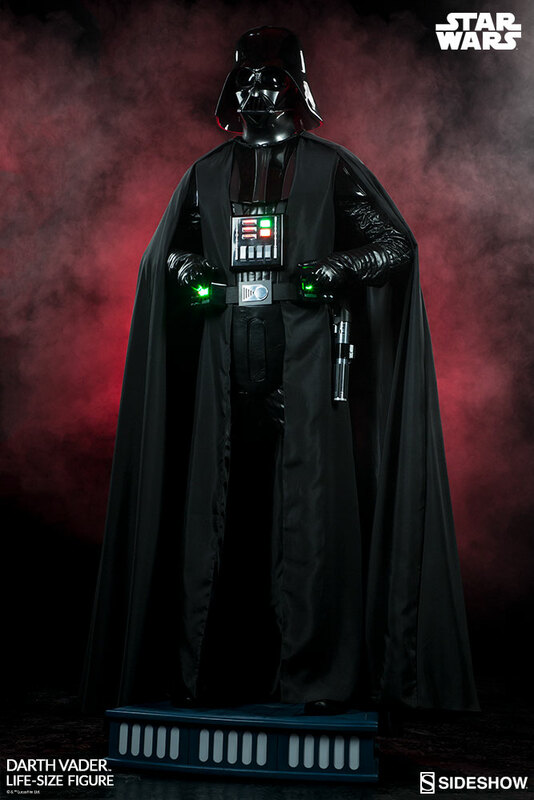 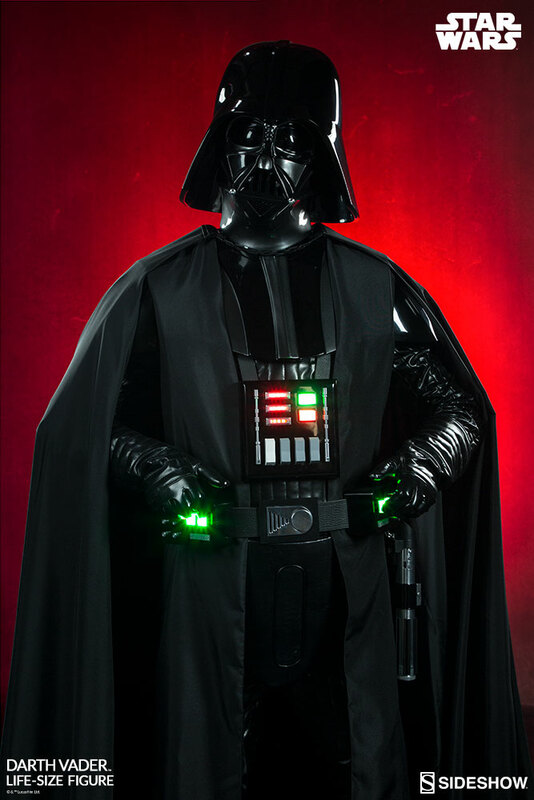 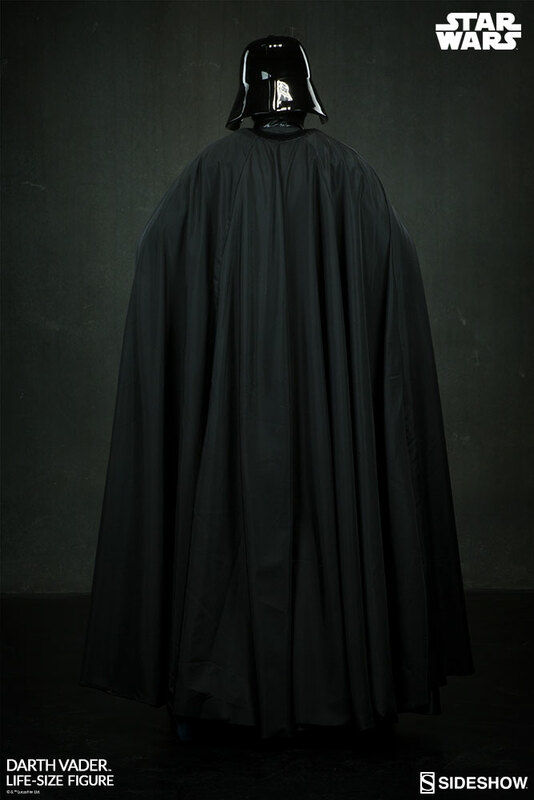 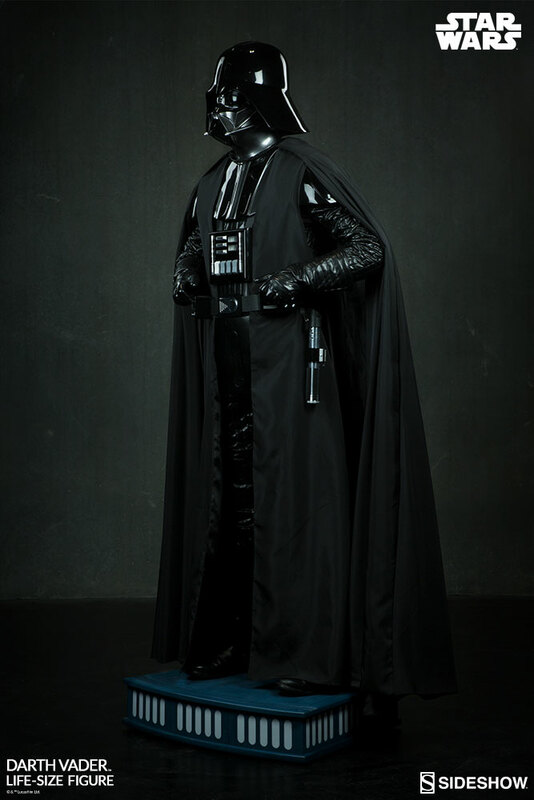 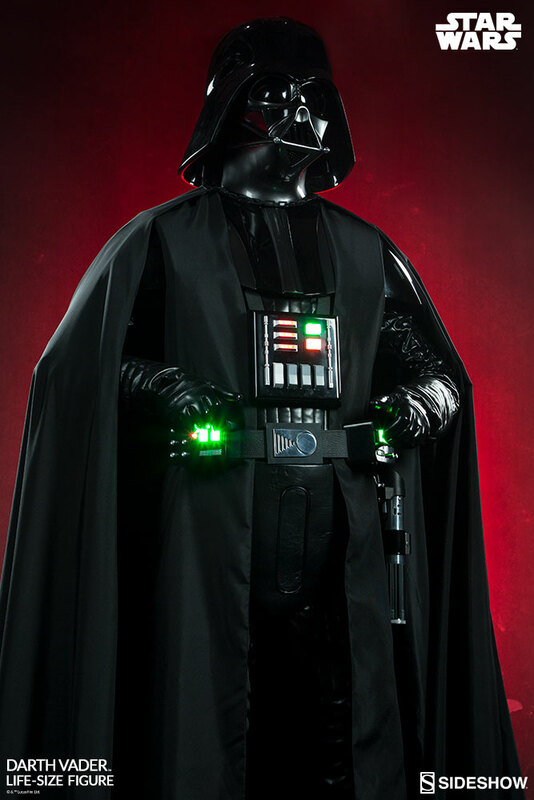 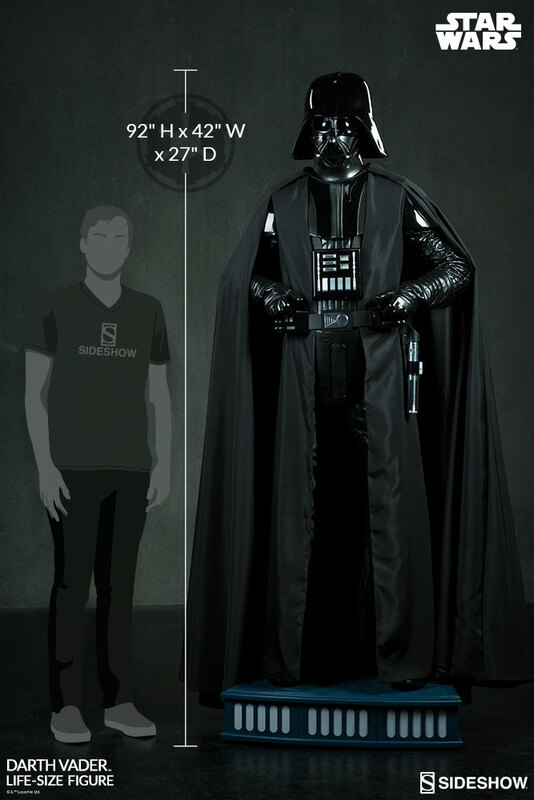 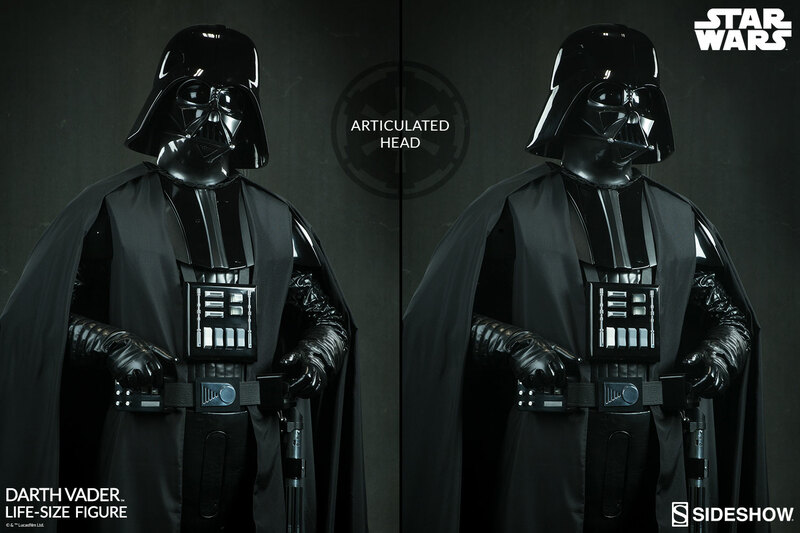 Thoroughly realistic and utterly accurate in every detail, our life-sized Darth Vader is the perfect finishing touch to a home cinema, screening room, memorabilia display or collector’s cave.